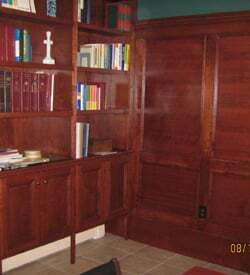 Nothing reflects comfort, quality, and style in your home or office more than a custom woodworking job. When you hire our team at South Shore Custom Cabinetry, you can be sure that the vision you have for your home or business can become a reality. Homes that have custom woodwork are the homes that you walk into and think, “Wow!” There are many ways that you can choose to upgrade any area or space in your home or your place of work through custom woodwork to get that “wow” factor. 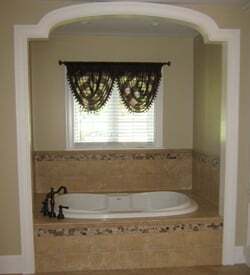 Some of the most popular ways are by adding an elegant crown molding around ceilings, entryways, and windows. You can also choose to have your kitchen cabinets designed and installed for a one-of-a-kind kitchen that uses all of the available space to the best advantage. 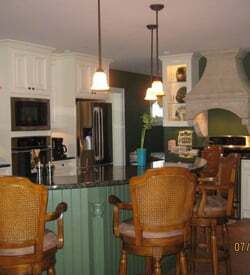 Whether you have very specific ideas or just want to upgrade the “wow” factor in your home and need some help on deciding the best ways to do that, contact South Shore Custom Cabinetry today. Copyright © South Shore Custom Cabinetry, 2017. All rights reserved.